Linux is like that one friend you never want to let go, no matter how cool your new friend (Android) may be. If you’re a developer or a geek who constantly wants to be connected to the Linux terminal, there is a way to turn Android into Ubuntu phone. You are just an app away from being able to run Linux terminal on Android, thanks to Termux. 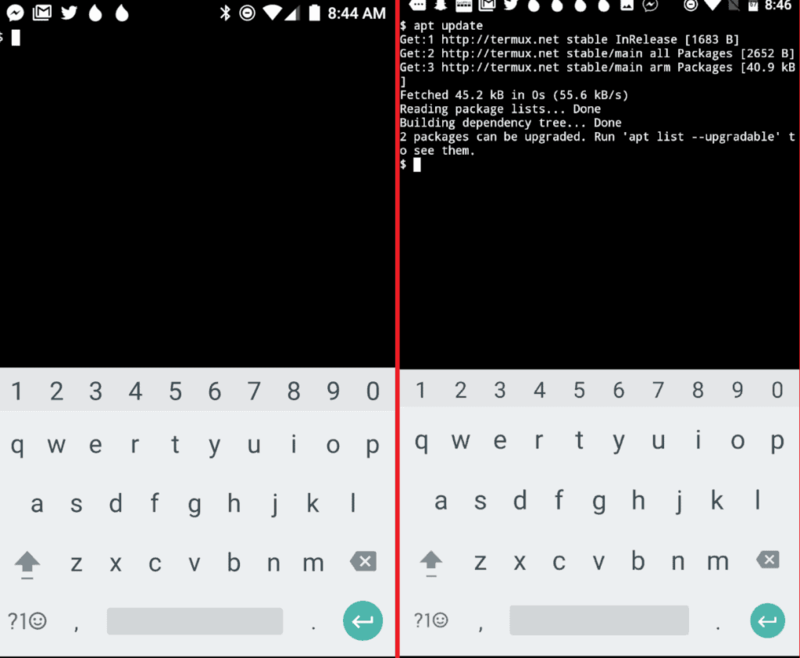 The tiny, yet powerful Termux app enables you to turn your Android device into a Linux terminal emulator. The app comes with a multitude of installable tools such as bzip2, cmake, dnsutils, emacs, gcc, git, gnupg, ack-grep, htop, less, nano, php, ssh, tar, and even more. The first time you open Termux on your Android device, you’ll see the simple screen with a basic Bash prompt. Before you begin compiling code or testing anything, make sure you update the package listing. To do so, issue the command “apt update” in the terminal and wait as it fetches the latest package lists. The command may also prompt you if there are any upgradable apps on your Android device, which can be upgraded with the “apt upgrade” command. To see the entire list of apps you can install with your Linux emulator, type in the command “apt list”. Scroll through the entire list of available apps and find the app that you want to install and run with Termux. For instance, if you want to install the openssh package, type in the command “apt install openssh”. Once you have the app installed, you can issue an ssh command just like you would on your Linux machine. Are the command-line tools of Termux enough to make it an adequate app to run Linux terminal on Android? Let us know your opinion in the comments section below.